An open lecture about the roots of the Rebetika will be presented by Dr Demeter Tsounis on Thursday 26 April 2018, at the Greek Centre, as a part of the Greek History and Culture Seminars, offered by the Greek Community of Melbourne. According to Dr Tsounis we have come to know rebetika as a broad genre of Greek urban music which developed and evolved in the urban and coastal regions of Asia Minor, the Aegean Islands, Greece and the United States in the first half of the 20th century. “However the early history of rebetika began in 19th century café-aman performances by visiting troupes from Asia Minor. They travelled throughout the Balkans and became popular as reported in the Athenian press between the 1870s and the 1890s,” she said. This lecture explores newspaper reports of café-aman performances documented by Thodoros Chatzipantazis (1986) in his book titled The Lovers of Asian Music. The Peak of Athenian Café Aman in the Years of the Reign of George I. A Contribution to the Study of the Prehistory of Rebetika [Της Ασιάτιδος Μούσης Ερασταί. Η Ακμή Του Αθηναϊκού Καφέ Αμάν στα Χρόνια της Βασιλείας του Γεώργιου Α’. Συμβολή στη Μελέτη της Προϊστορίας Του Ρεμπέτικου]. It discusses fluctuations in the public reception of café-aman music and reveals contrary yet prevailing ideological narratives regarding the nature of Greek culture and Greek nationhood. Demeter Tsounis was born in Adelaide, South Australia, of Ikarian and Pontian parents. 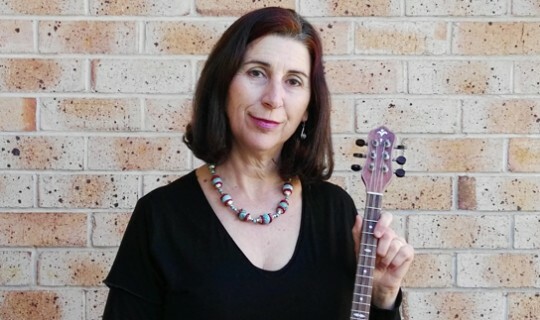 She studied western classical music, Aboriginal music, ethnomusicology and anthropology at the University of Adelaide where she undertook original research into the music of Greek-Australian migrants (Multicultural Music-Making and Dancing at Wedding Receptions: A Study of the Music-Making and Dancing Activities of Greek People in Adelaide, Unpublished Honours thesis, 1986; Rebetika Music-Making in Adelaide-Diaspora Musical Style and Identity, Unpublished PhD thesis, 1997). She is the author of several publications on Greek music. During fieldwork in Greece Demeter learnt to play the baglamas (a small long-necked lute) and the toumberleki (goblet drum) at the Aristides Moschos Popular School of Traditional Music, Athens. She currently teaches piano, toumberleki and baglamas and performs and arranges traditional Greek music in the Meraki Music ensemble. She is currently working on the Odyssey Festival Tribute to Mikis Theodorakis Concert (Nov 2018).